This will not last! Former model home! Updated features throughout. Updated Kitchen, Upstairs laundry, New tile in bathroom, New paint, Sprinkler system, Custom landscaped yard with paver patio for entertaining. New hot water heater. Quiet street. The spacious office is great for the work at home professional, or could easily be converted to a 3rd bedroom. There is tons of storage in the 2 car garage with access to the back yard. 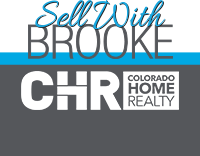 he home is located near the great neighborhood park which includes a pool, and schools, shopping, and convenient to hop on to E470. Great first time home or investment property. 3 Minutes from Smoky Hill Library Come visit us Saturday 4 / 13 11:00-1:00 and 4 / 14. 12:00-2:00 for Open Houses.